Such a talented writer, shame about the face! 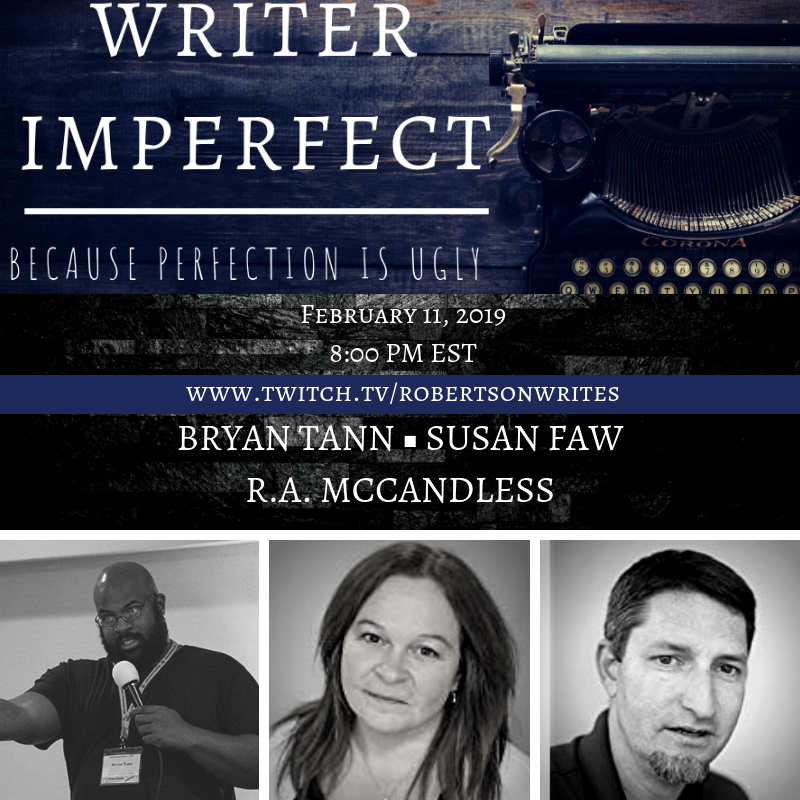 A laid back atmosphere, where four writers will hold a round table to discuss writing, the publishing industry, and answer any questions from YOU the audience on Twitch. The live broadcast link is twitch.tv/robertsonwrites. You can watch it without a Twitch account, but if you want to ask questions, you’ll need to sign up. It’s quick, and most importantly, it’s free. 2.) Link your Amazon Account. (takes two seconds) https://twitch.amazon.com/prime. 3.) 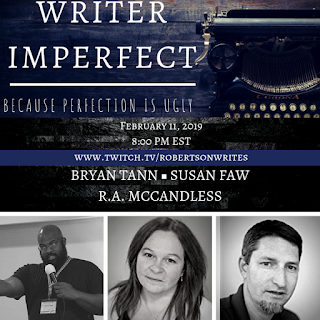 Subscribe to my Twitch at https://www.twitch.tv/robertsonwrites by clicking "Subscribe Free". Do you have anything you’d like me to discuss or ask of the other writers? Let me know in the comments below! Hmmm. If all goes well, I'll be joining you from the baggage claim area of my local international airport. Hopefully, the discussion will not focus too heavily on WMDs. If it does, I may have to check on wifi reception at a detention facility (undisclosed location).